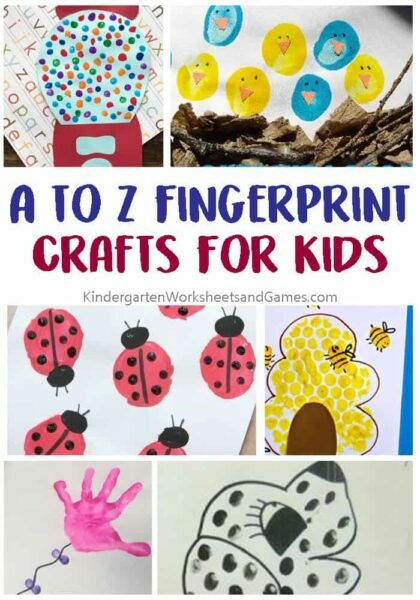 These adorable A-Z Fingerprint Crafts for preschool and Kindergarten age kids are a fun way to learn alphabet letters while encouraging creativity ! 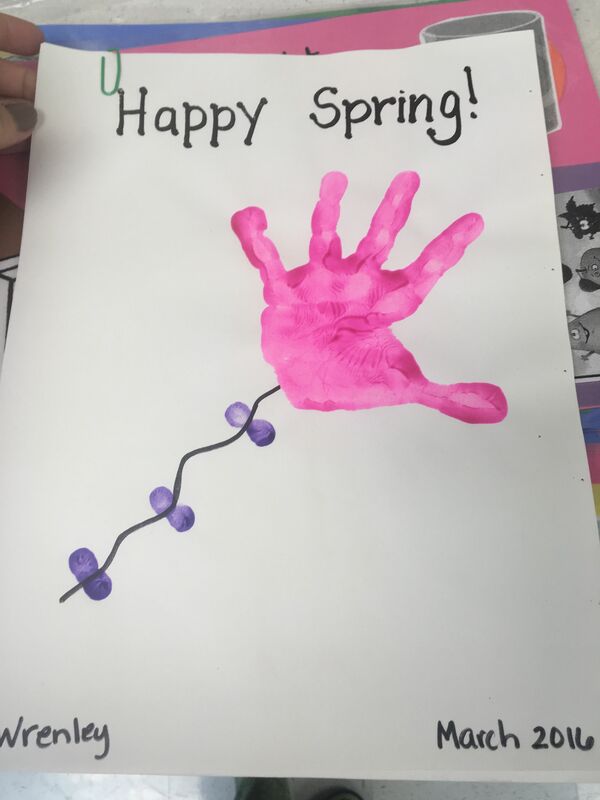 Fingerprint Art is not only fun to make, but it helps kids strengthen their finger and hand muscles that are critical for so much in life. Including zipping a zipper, tying shoes, writing, holding a pencil, and so much more! 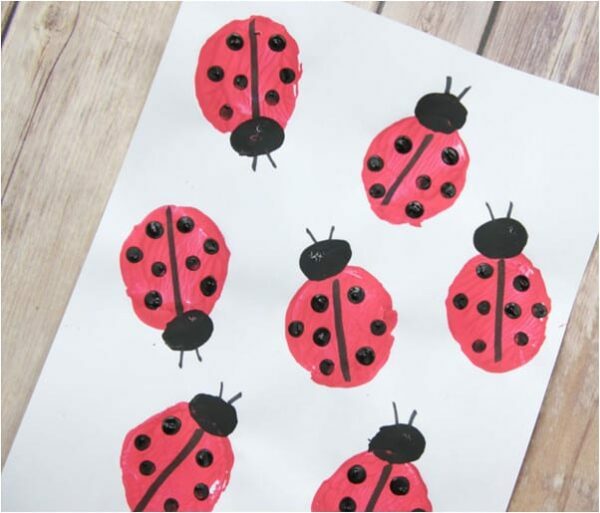 These fine motor skills are important for children to master and something as simple as finger painting can help! 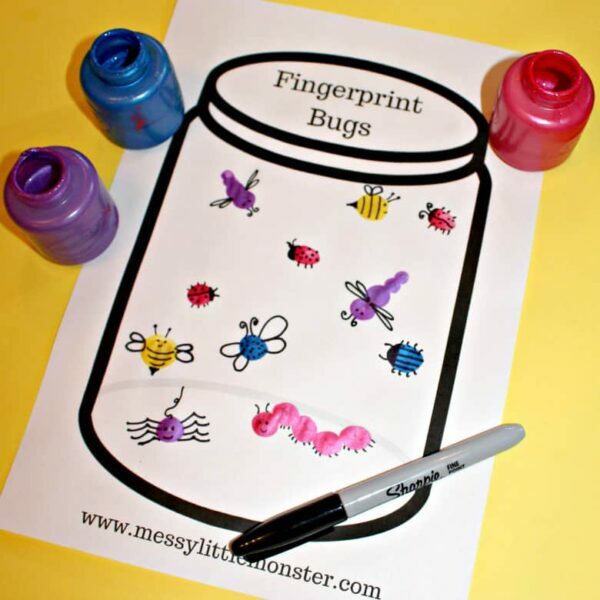 These fun A-Z fingerprint crafts are also helping strengthen a child’s alphabet knowledge. 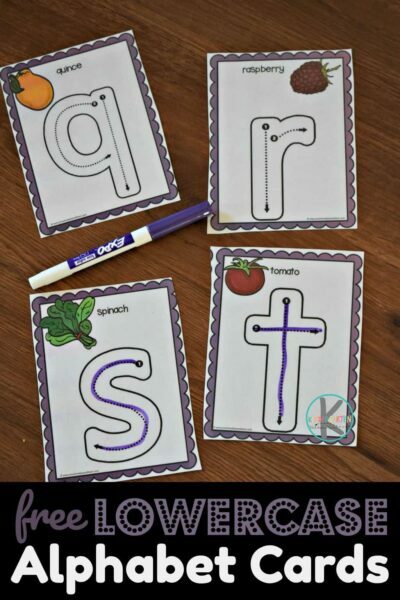 Doing crafts and activities, like this T is for Tree, that focus on individual letters or the alphabet as a whole will help them master each letter. 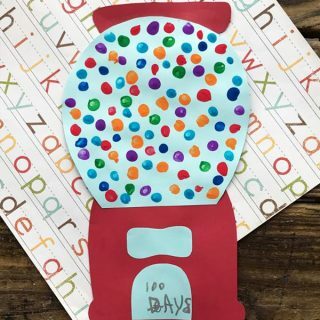 These are some of our favorite Fingerprint Alphabet Crafts. They are engaging and beneficial to kids! 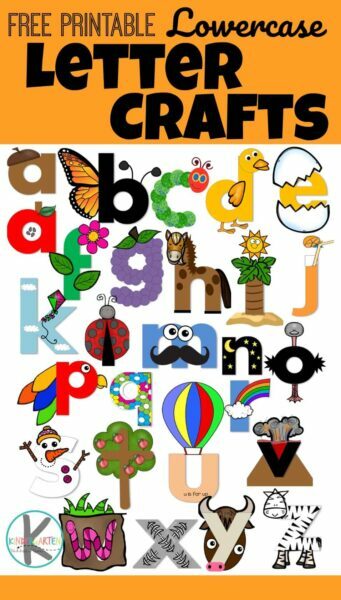 You can focus on letters individually like the activities below or as a group like these exciting Fingerprint Letters. 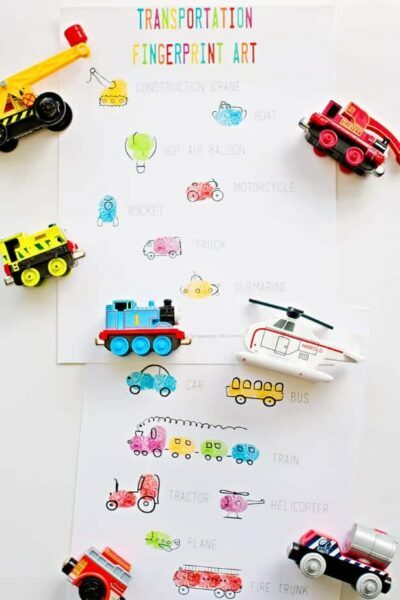 This is great for introducing letters and also for focusing on a select few that a child may be struggling with! A is for Aquarium. I haven’t met a kid who doesn’t like to watch fish in an aquarium and this is just as fun! 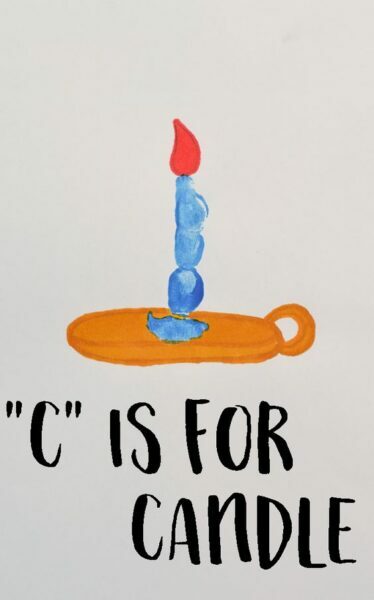 C is for Candle. 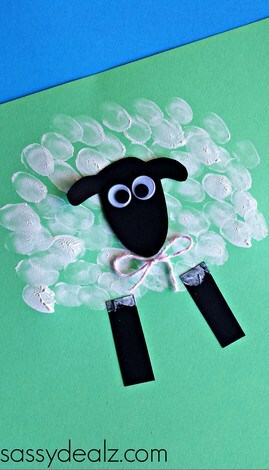 Fingerprints make up every part of this adorable art! D is for Dog. 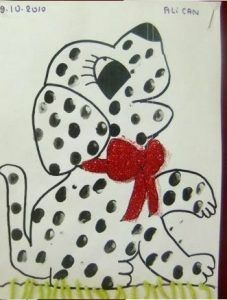 This is usually the first D word that kids learn, but this dalmatian is extra cute! E is for Emojis. Do your kids love emojis as much as mine do? It’s basically a new form of communication, so it only makes sense to use them to help kids learn about the letter E! F is for flowers. Flowers are wonderful to look for and I love decorating my home with flower creations that my kids have made! H is for Hop. This project itself is dedicated to spring but you can hop anywhere, can’t you? I is for Insect. Some of us don’t like real bugs but I always enjoy sweet little bugs that are created with art! J is for Jar. 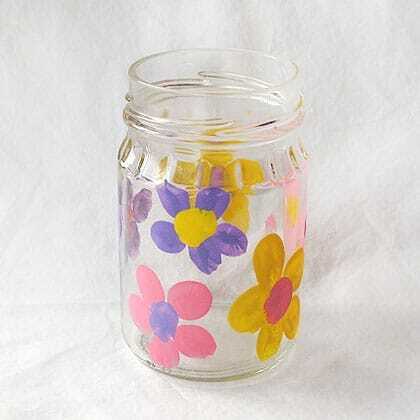 I love that this jar craft is something that can be used again and again. It would also make a fabulous gift! K is for Kite. Let’s go fly a kite! This super cute kite is made with handprint too but the little bows are super cute fingerprints! L is for Ladybug. This is so cute. The process is genius as well! M is for Monkey! 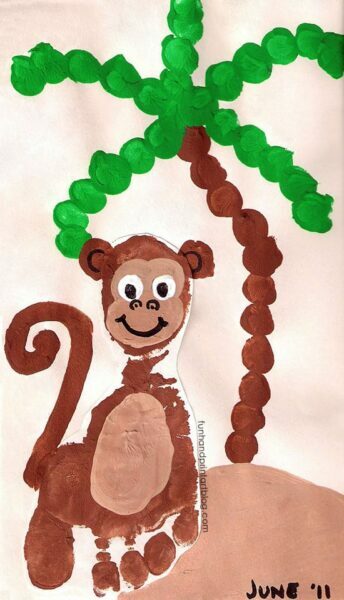 Even though the monkey itself is created with a footprint, it’s favorite shade tree is made from fingerprint and that is just too cute! N is for Nest. The nest may not be made from fingerprints but the adorable baby birds are!! O is for Ocean. 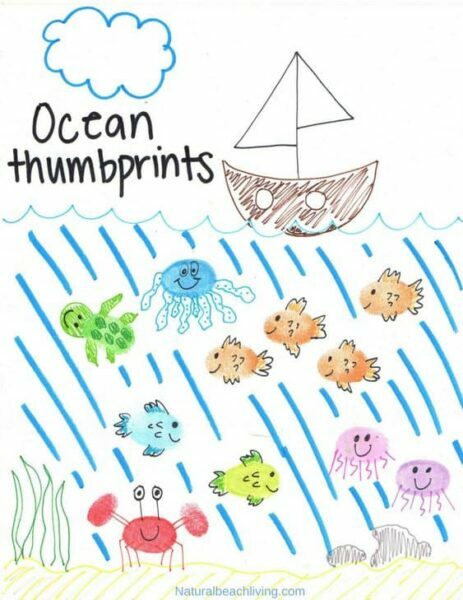 All of these adorable fingerprint animals create this beautiful ocean scene! P is for Peas! These little peas are parachuting through the sky and it looks SO COOL! Q is for Quilt. Making a quilt is quite often a sentimental thing. This could easily be a fun gift for a family member to cherish always! R is for Rainbow. Rainbows are all around us these days, on clothing, purses, keychains, etc. Why not make one out of fingerprints and paint too!! S is for Sheep. This totally screams spring to me but it would also be great for a farm theme unit! T is for Turtle. Aren’t these little guys just so adorable? U is for Umbrella. 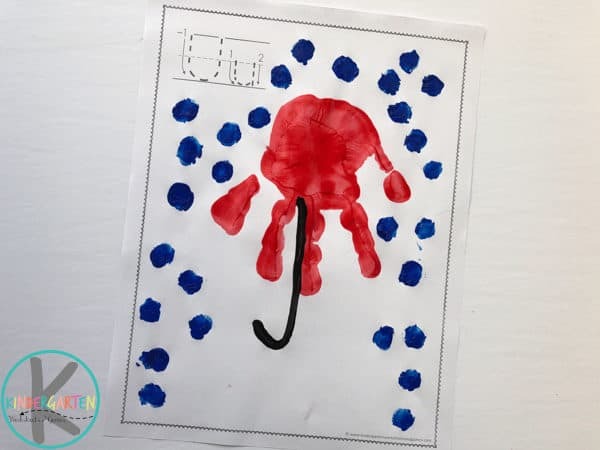 This adorable U is for Umbrella painting activity focuses on the letter U while using fingerprints to create the raindrops! V is for Vehicles. These transportation vehicles are the most adorable vehicles I have seen! W is for Windsock. Have you seen how free a windsock looks flying through the sky? This is an adorable patriotic windsock, but you could easily change up the colors and make it for any season! X is for Xylophone. This isn’t exactly a fingerprint craft but it was too cute not to add in! Y is for Yak. This chart is stinkin’ cute and these animals are exactly what every fingerprint needs! 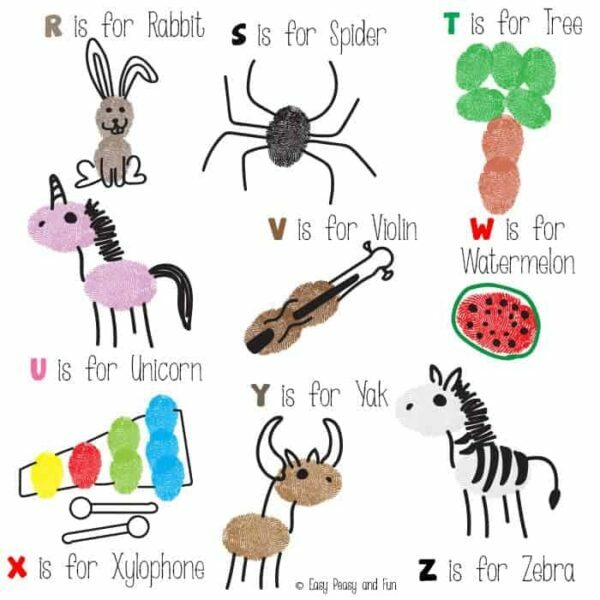 Z is for Zebra. Of course it is and this zebra is just so cute! 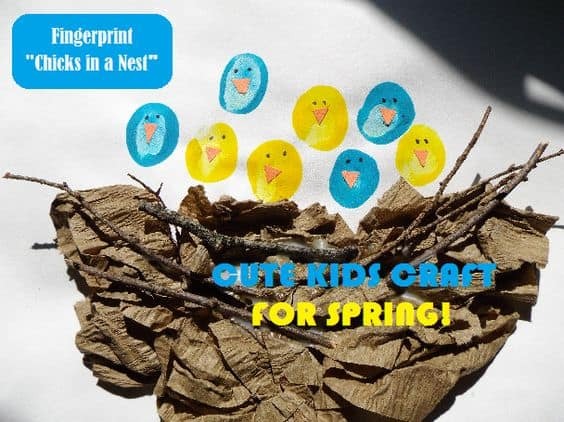 These fingerprint crafts go from A to Z and everything in between. 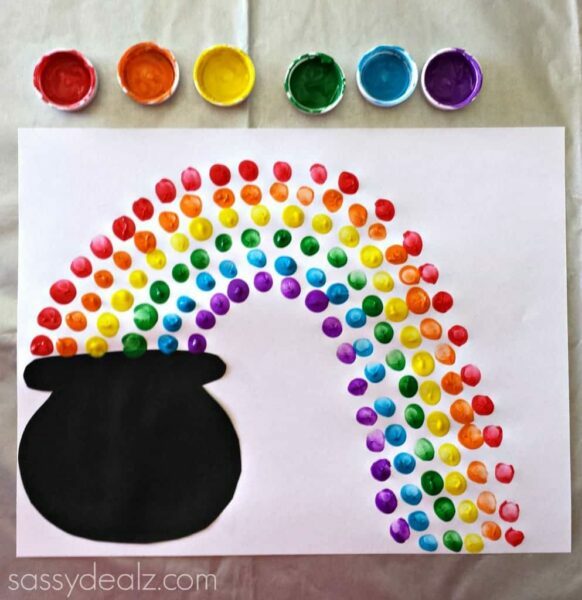 It is so much fun for most kids to paint and craft with their fingers. 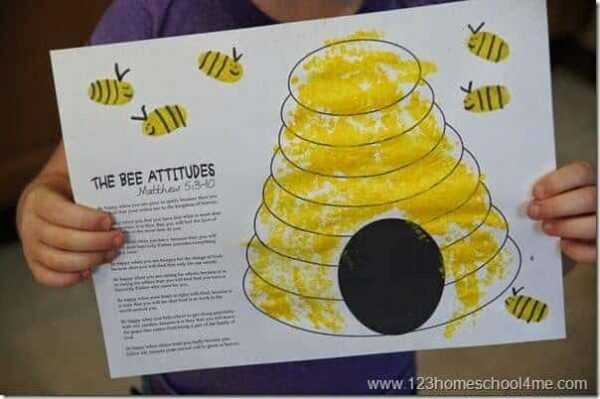 These activities will encourage children to not only have fun and be creative but practice their super important ABCs as well! Click on the pictures below to see these other amazing alphabet printables for kindergartners!